a whole year in college of knowing everything. and not drive until I had been to motor vehicle. I did as I was told. Like Tom Webster says below we need more cops like Bull Powers. at the A&P or IGA in Calais. Four new businesses opened in Calais, C.
Calais librarian Edith Beckett retired. 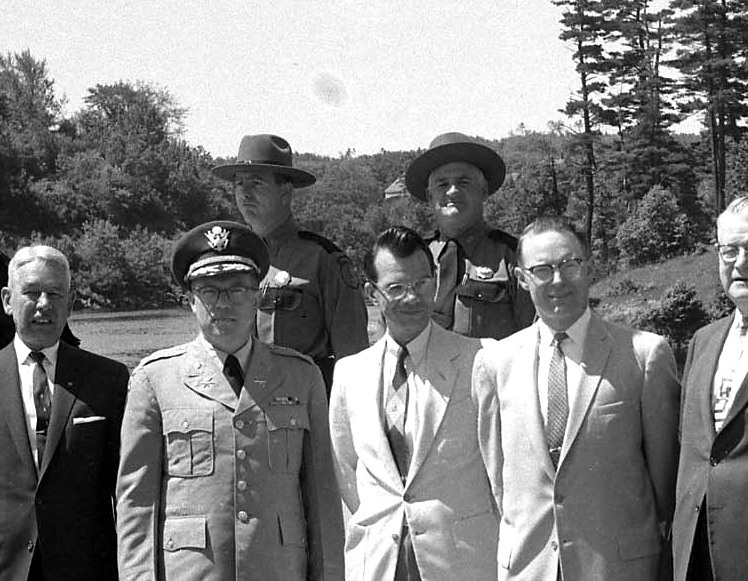 Bull Powers can be seen here in the back row on the left. 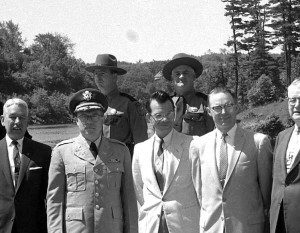 Governor Reed is in front, as is city attorney Francis Brown. This is a photo from Frontier Week in 1961.
don’t recall seeing a car at the site. Odd, the things we remember. Woolwich without license from municipal officers. 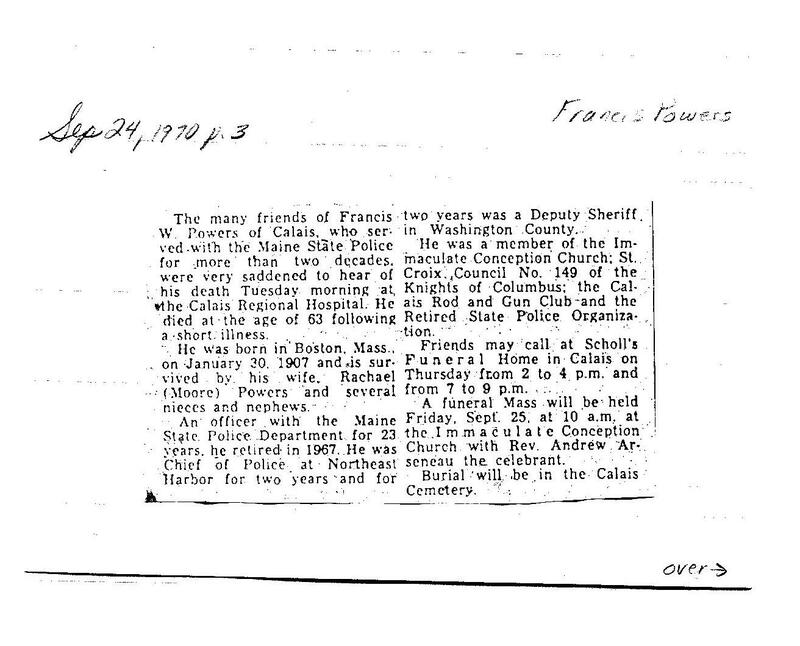 Francis W. Powers of Calais married Rachel G. Moore (or Rachel G.
Francis W. Powers died in Centerville on 22 September 1970. 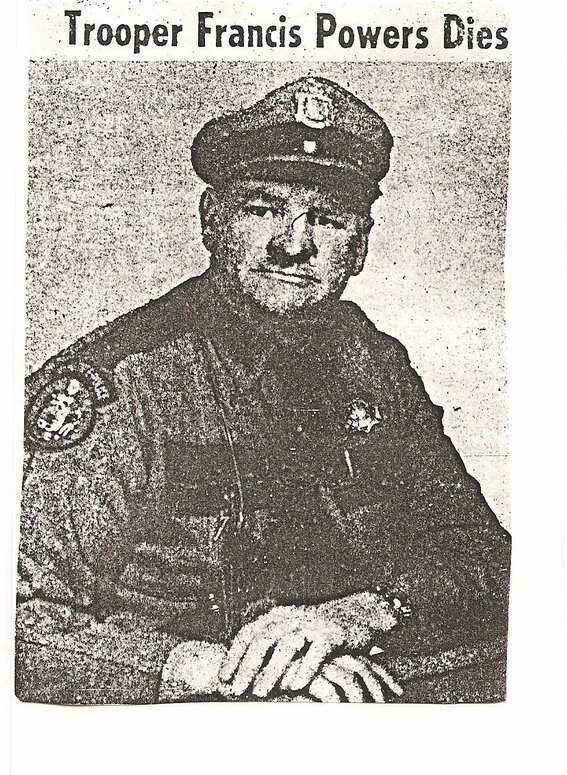 Trooper “Bull” Powers –he was quite the icon here in the Calais area. 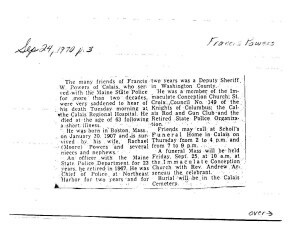 and her parents had 163 163…..one of the perks of her office…. 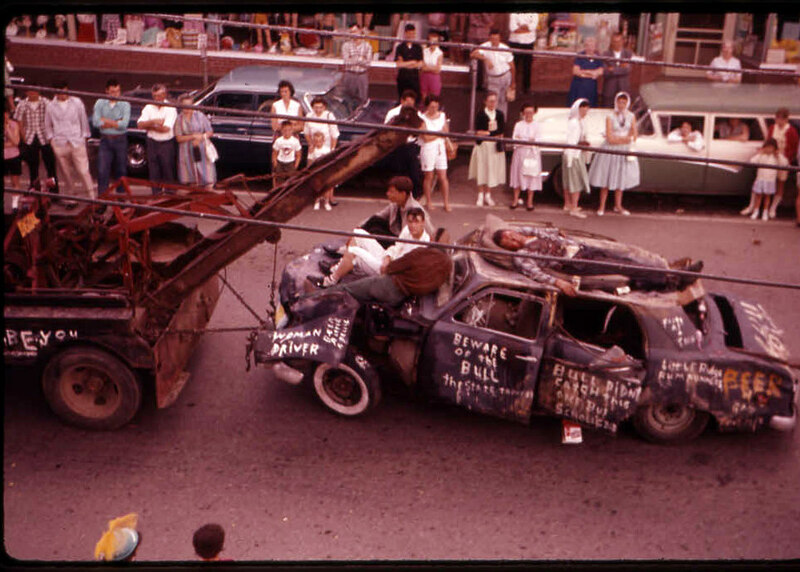 During the Frontier Week parades, wrecks were towed around showing the dangers of poor driving. This one from 1961 cautions “Beware of the Bull”.